Imagine your phone has an app that enables you to keep track of your spending from not just one bank account, but from all accounts and credit cards you have across different providers. It is currently challenging, if not impossible, to build such an app, but this situation is set to change with the launch of the Open Application Programming Interface (APT) Framework for the Hong Kong Banking Sector by the Hong Kong Monetary Authority (HKMA) on 18 July 2018. The framework will be introduced in four phases, with the first part going live this January, followed by a second phase in October this year. The open API framework is set to shake up the banking industry, drive innovation and lead to the creation of new models of customer service. APIs enable the sharing of data through digital channels, and while individual organizations have been using their own APIs for some time, the launch of the open API framework marks the first time the process has been standardized in Hong Kong. By defining deployment time frames and recommending open API technical standards, it enables financial institutions to open up their data to other organizations in a secure and consistent manner. According to the HKMA, the framework serves as a guide for the banking industry in Hong Kong to adopt APIs effectively and strike a good balance between innovation and risks. up with third-party service providers (TSPs), such as technology companies, increasing the pace at which they can offer their customers new and more innovative products and services. He points out that banks have been slower than other sectors to adapt to changes in consumer preferences as a result of the prevalence of smartphones. In November, Xero announced the launch of its open banking API, enabling banks, FinTech companies and financial institutions to connect to the platform and provide bank feeds quickly for small businesses. 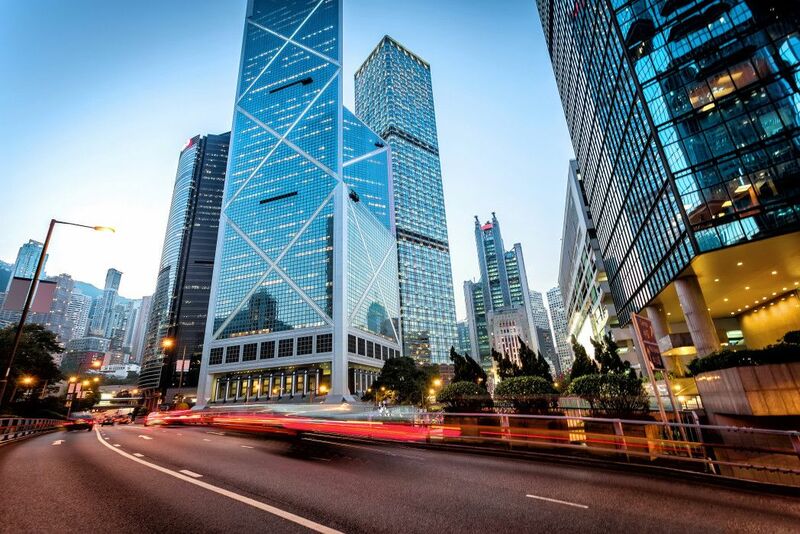 Kevin Fitzgerald, Asia Regional Director at Xero, agrees that the establishment of the Hong Kong government’s open API framework will accelerate Hong Kong’s transition to the era of smart banking. He says that while integration between an app anda bank previously had to be done on an individual basis — a process that could take months — Hong Kong’s open framework provides a standard protocol, significantly shortening the development time. “This allows banks and third-party business app providers alike to become more nimble in meeting their clients’ needs,” he says. The first part of the HKMA’s phased- approach to implementing the various “An open API allows open API functions will see banks sharing information on their products. Etelka Bogardi, Partner at law firm Norton Rose Fulbright, explains that this phase will give TSPs access to bank information on a read-only basis, allowing the development of comparison websites for products such as savings accounts, mortgages, loans and, in some cases, investments. The second phase, which will be launched in October this year, will enable customer acquisition through third-party Sites. The final two phases, which will be introduced in 2020, will make it easier for customers’ account information to be shared between banks and other providers, and allow transactions to be carried out through the open API. Bogardi explains that the third phase will give permission to third-party providers to authenticate customers and offer account aggregation services and financial management platforms, as well as perform analytics on customer behaviour, while following the final phase, customers will be able to carry out transactions through providers other than their bank. All of the retail banks in Hong Kong have-committed to sharing information on their products, the first phase of the open API, in January. The framework will initially only apply to retail banking services, with the HKMA planning to roll it out for business banking at a later date, although enero aang there is nothing to stop banks using it for business services straight away. The launch of the open API framework is expected to have significant benefits for customers. “We believe open APIs will help create a healthy ecosystem where customers will be offered more choices and convenience with online banking services in a secure and inclusive way,” an HKMA spokesman says. Baura expects it to lead to customer- focused innovation, including a more personalized experience better integrated with people’s day-to-day lives. As organizations become more familiar with the open API framework, the innovation is expected to also occur in stages, with Baura initially anticipating greater transparency, through account aggregation and comparison sites, followed by a more holistic approach to customer service. He gives the example of one-stop shops enabling homebuyers to find a property, obtain a mortgage and have all of their legal searches done through a single platform. He also expects new products to be introduced in Hong Kong as a result of more integration between banks, other providers and the Internet-of-Things, such as pay-as-you-drive motor insurance. Standard Chartered agrees that customer experience will improve as banks open up access to real-time data. “The framework helps accelerate the development of an ecosystem in the industry promoting collaborations between participants, creating new business values while improving customer experience,” a Standard Chartered spokesman says. “We anticipate many more banking solutions for new customer journeys to be created, providing more convenience for customers.” He adds that it could also lead to more.automation, making it easier for consumers to take out banking products through-different channels. Citibank Hong Kong has already set up anumber of partnerships with other providers ahead of the launch of the open API. These include opening its own API to insurers AJA and Zurich, meaning personal information for Citi customers can be auto-filled in on insurance application forms. Payment network JETCO is launching aplatform, JETCO APIX, this month with 13 banks and other e-service providers, including OpenRice, Price.com.hk and MoneyHero.com.hk, to share information and enable participating organizations to collaborate on offering new services. The launch of the framework raises questions about the security of customer data. “The HKMA has provided guidance for the implementation of relevant measures, such as the use of prevailing international standards, to ensure security and its expectations on how banks should on-board and maintain relationships with TSPs, in a manner that ensures consumer protection,” the HKMA spokesman says. But some commentators think it does not go far enough. Baura says that in Europe, TSPs connecting with a bank have to comply with the same set of regulations governing data protection and management as banks. However, in Hong Kong, the onus is on the banks to assess whether the TSPs are managing data risks properly. He is concerned this could stifle innovation, as banks may not want to take the risk of being liable if third parties do not manage the data correctly. She adds that some issues relating to third-party access to customer data and associated liability issues have not yet been clarified by the HKMA. The open API framework is seen by most commentators as an opportunity for traditional banks to collaborate with other providers, rather than a threat to them from more innovative organizations. Baura agrees, pointing out that while challenger banks may be more nimble and able to come up with more innovative solutions, the established banks are trusted and have a large customer base. He expects the latter to benefit from the open API framework by partnering up with a technology firm, rather than being threatened by them. But he does expect the framework to drive down costs for consumers and hit banks’ margins. “I think it is going to reduce costs for the consumer and have an impact, for those organizations that stick with a product and channel-siloed organization,” he says. Rosa at Neat also points out that more challenger banks partner with traditional banks to some extent. He says that while Neat accounts can be opened by companies without any existing bank account, and that Neat does not link to customers’ existing accounts, it partners with banks in the background to offer bank transfer. While the launch of the open API framework mainly impacts that banking industry, it also offers opportunities for accountants. Baura thinks accountants could make use of it by offering their clients one-stop shops in which they take care of all of the back-office functions, by providing an accounting platform that connects with their bank through the API framework. “The other opportunity could be through digitizing audits and using the open API framework to offer bespoke solutions,” he says. He adds that this not only means accountants save time by not having to do manual entry, but it also enables them to instead focus on more value-added services, such as helping entrepreneurs with their budgeting, forecasting and financial management. He adds that the framework also paves the way for more banking innovation in the area of tax, such as the United Kingdom’s Making Tax Digital initiative, under which businesses will use digital channels for the exchange of tax information with the government. He points out that, according to a recent EY survey, 45 percent of taxpayers have never used the Hong Kong government’s e-filing services to file tax returns, despite the fact that the system was launched 10 years ago. “Introducing API integration between accounting and online tax platforms will allow bank transactions and other financial information to flow automatically to streamline digital tax return applications, which will be a big advantage for time-constraint SMEs and their advisors,” he says. Overall, Fitzgerald thinks the open API framework will provide better tools for accountants, enabling them to be better advisors to their clients. “These integrations are bound to save accountants time from routine tasks, and help them make sense of their clients’ data quicker to provide timely A advisory services,” he says. The Monetary Authority of Singapore published its first set of APIs back in November 2016. Like Hong Kong, it started with 12 sets of information covering frequently accessed data such as interest rates and exchange rates.